Manufacturing powder coatings since 1994 in Niagara. Not just	black & white. The appliance industry is a large user of coatings, although much of the current appliance industry has moved toward (cheaper) plastic components compared to their more expensive metal coated counterparts. 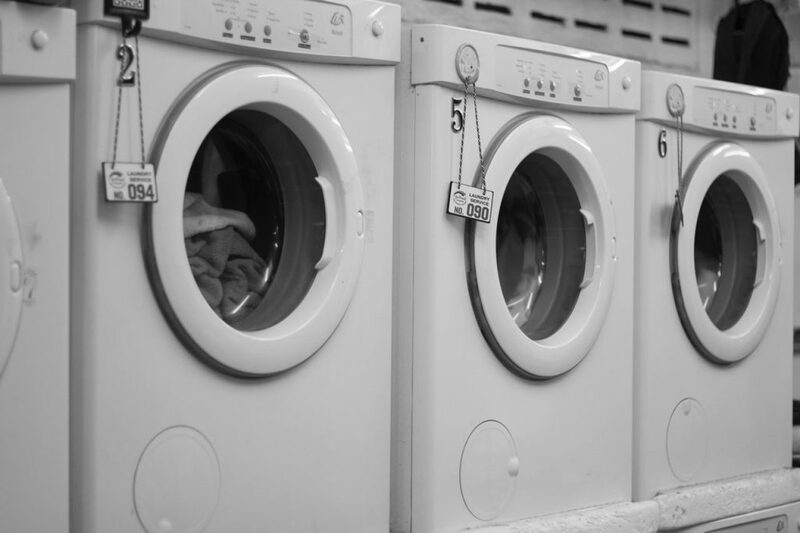 Common appliances in the home are the ones produced by this manufacturing industry, such as washers and dryers and micro-waves. Many of these manufacturers have left North America, especially in the smaller appliance segment such as blenders or coffemakers. This has left mainly larger and bulkier appliances such as fridges being made in North America. Much of the industry that is left in North America has moved to Mexico. Despite the many moves and plant closures, this is still a large sector of the manufacturing economy in N America. This industry is still often referred to as “white goods” in reference to the vast majority of home appliances, large and small, being primarily coated white in color. Not surprisingly, the vast majority of powders going to this industry are white and are for interior applications like your kitchen or laundry room. Due to these factors, the prime consideration for these coatings is aesthetics – color and overall finish – and adhesion. Depending on the application, cost can also be a central factor.